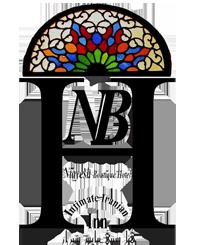 Niayesh Hotel is offering guests a special discount during the summer. 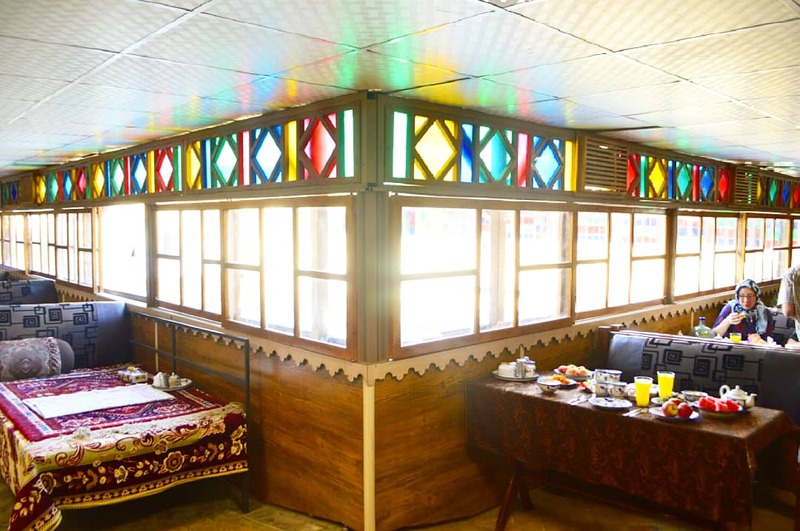 You can book rooms online at discount prices; SINGLE $20, DOUBLE $30, DORMITORY BED $5. This discount is valid until Sep. 22, 2018. 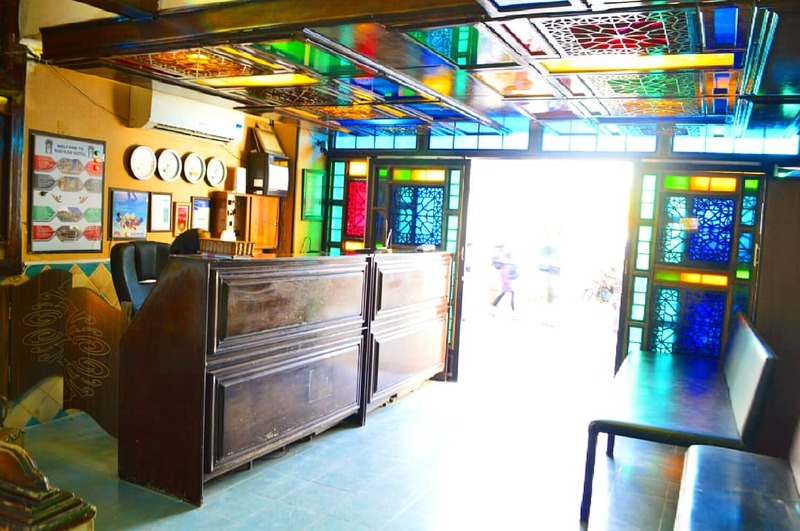 Mention the offer at the time of reservation. 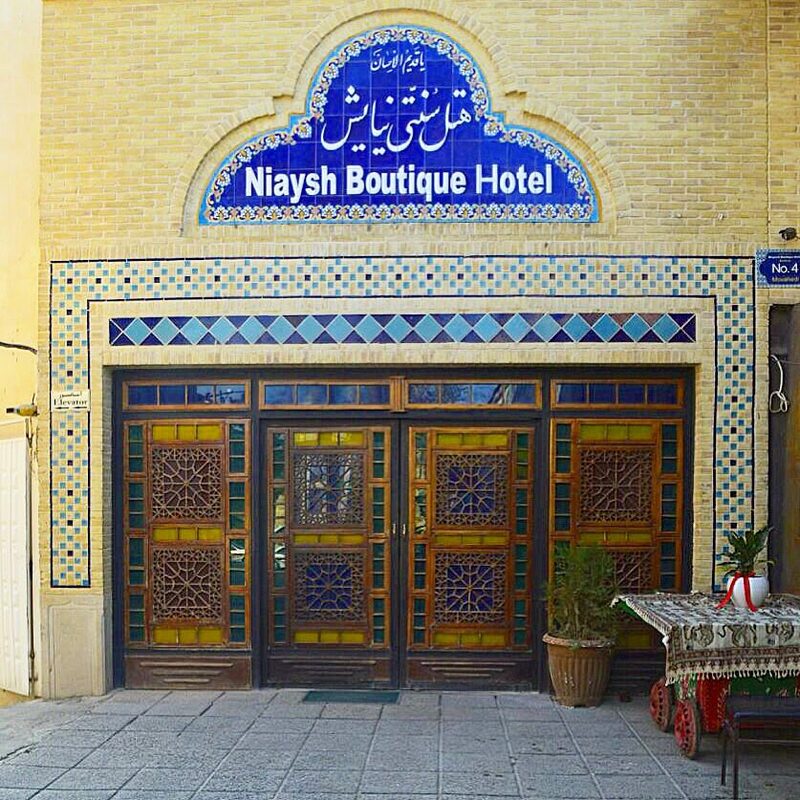 Niayesh Boutique Hotel is located in Shiraz downtown among the historical and cultural complex of museums, mosques, churches, synagogues, monasteries, and ancient fire temples. 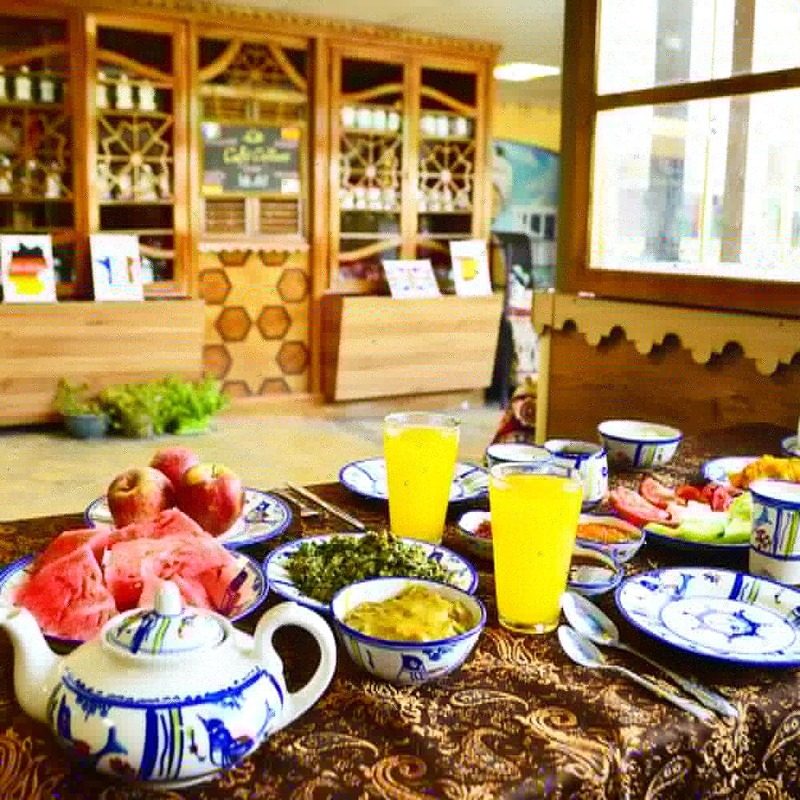 All these together in one neighborhood help this region to be a rich and unique cultural historical spot in Iran. 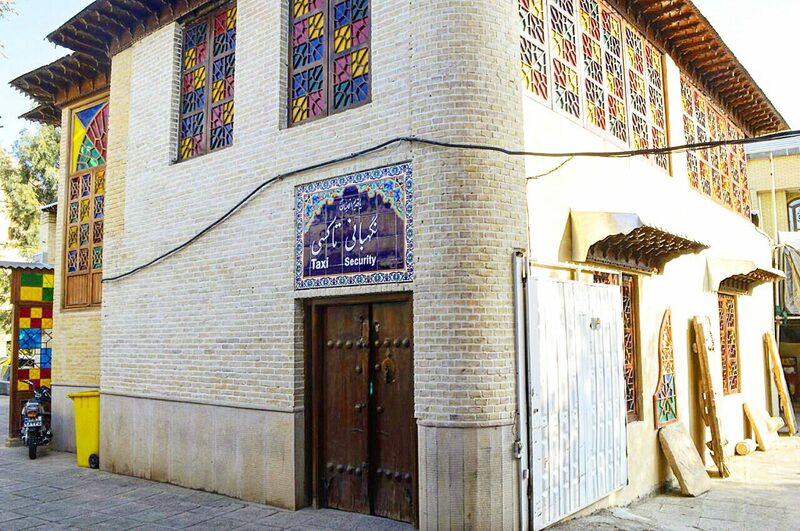 During the previous century, Haj Mirza Mahmud-e Adib-e Mostafavi held the Literature Association of Shiraz in this property by inviting a group of scholars and elites such as Shouride-ye Shirazi. They obliged a remarkable service to the Persian literature such as compilation and rectification of Sa'di's works, the master of Persian prose and Hafez' Divan, the spiritual Persian poet. 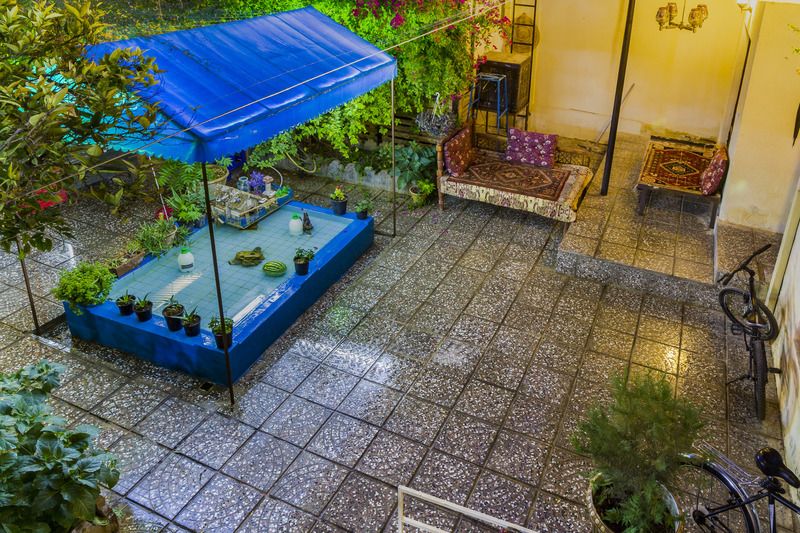 After the first publishing house of Shiraz was established in this property, a great number of cultural activities such as the imprint of the first newsppaper in Shiraz accomplished there. 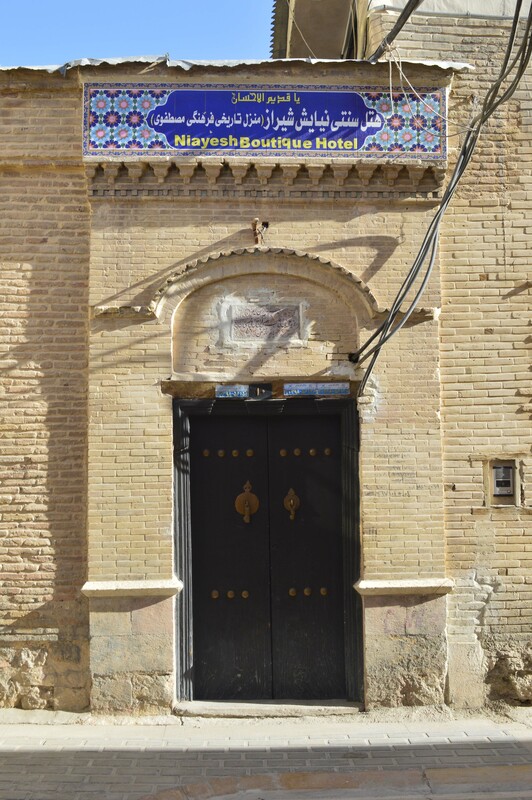 Niayesh Boutique Hotel is a chain of ten registered plaques in the form of seven buildings stretching from the beginning of 4/3 Alley on Dastgheib Street to 7 Shahzadeh Jamali Alley. 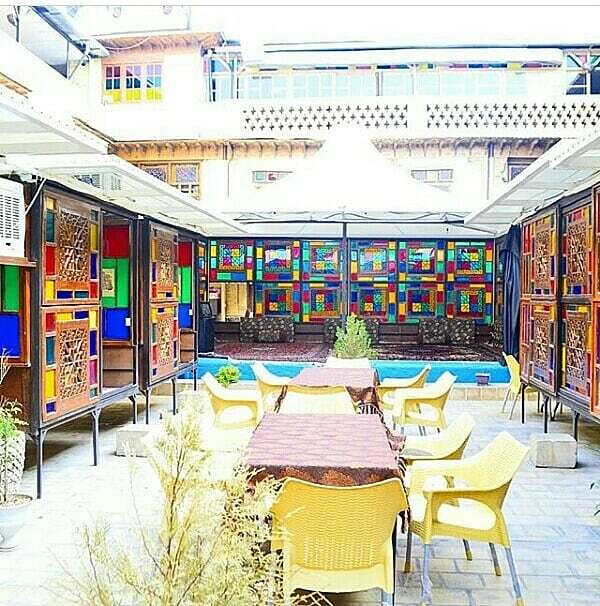 This hotel has 3 restaurants, 3 coffee shops, an art gallery, a leather workshop, a central kitchen, a laundry and a concierge, serving guests in 6 courtyards and up on 2 roofs featuring a relaxed atmosphere with impressive views. 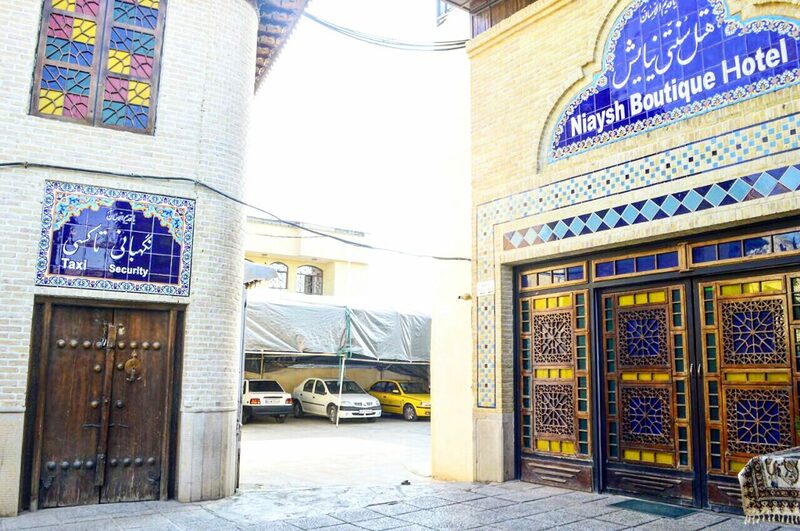 Building 1, just opposite Bibidokhtaran shrine, consists of the concierge, security, and parking 1 with a capacity of 8 vehicles. Parking 1 is at the beginning of 4/3 Alley and the concierge is at the hotel entrance. 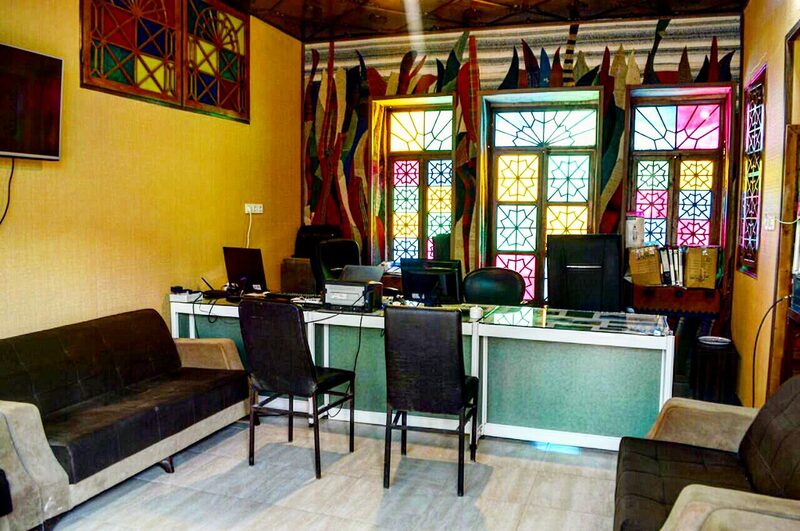 In the concierge, experts fluent in different languages are ready to help and solve all the guests’ problems, providing professional advice and guidance, from 8 a.m. until 11 p.m.
Building 2 consists of the hotel section, parking 2, security & guard rooms, and taxi service. 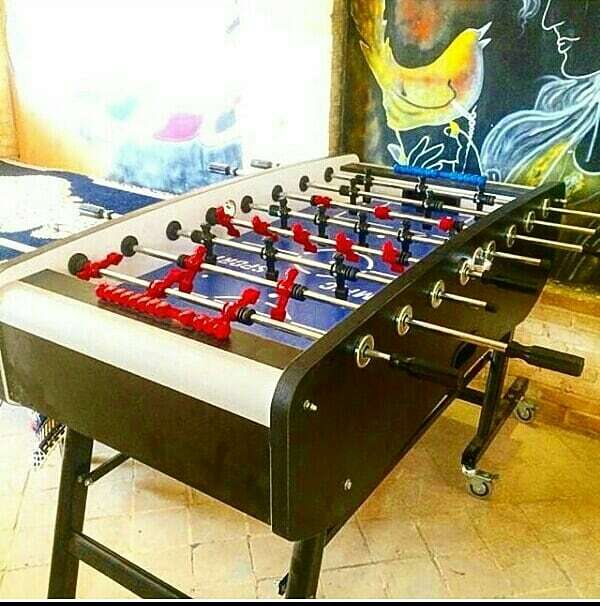 It has 5 rooms beside Parking 2 with a capacity of 25 vehicles. Security room and taxi service are located at the parking entrance in front of the reservation. 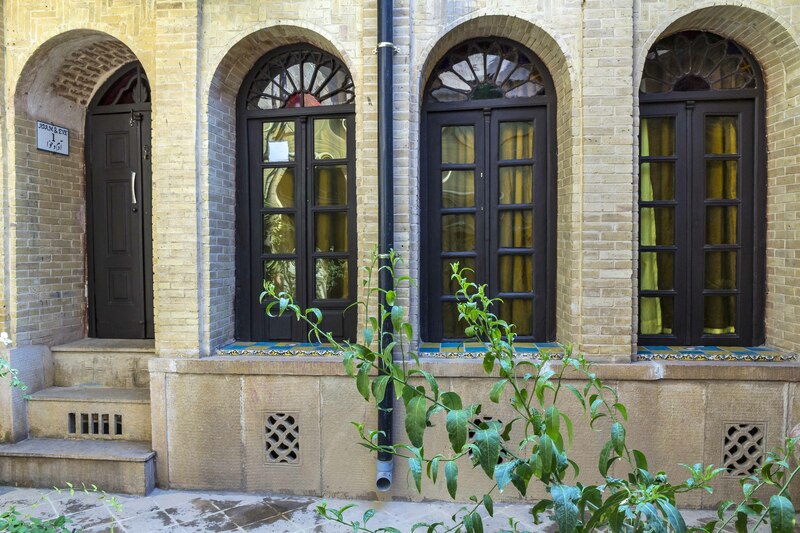 Building 3 is actually 2 registered plaques under the name of the historic House of Abdolhossein Moayedi. 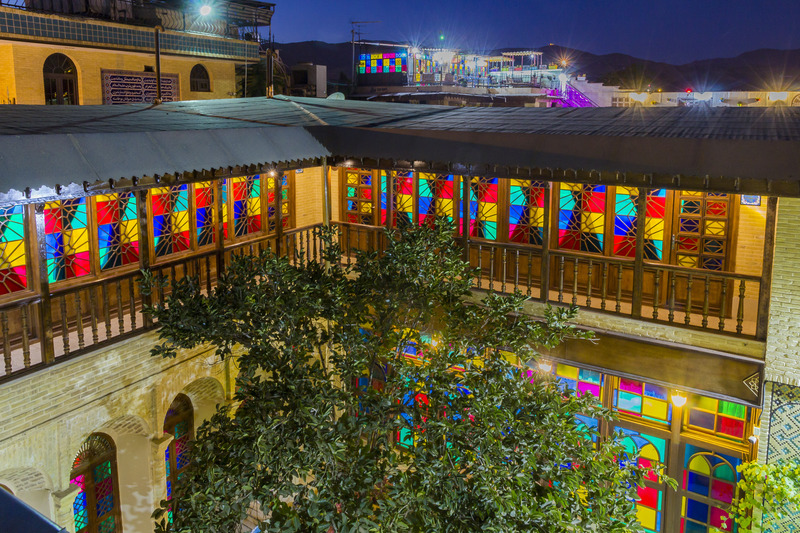 It consists of the reception, 27 rooms, Bid & Naranj Coffee Shop in the central yard, Moayedi historic courtyard in which Abbas ibn Ali’s Saghakhane is located, a leather workshop located under the terrace, an art gallery in the right corner, Toranj Restaurant & Salamat Coffee shop located on the roof, and Aziz herb shop in the middle of Toranj Restaurant. 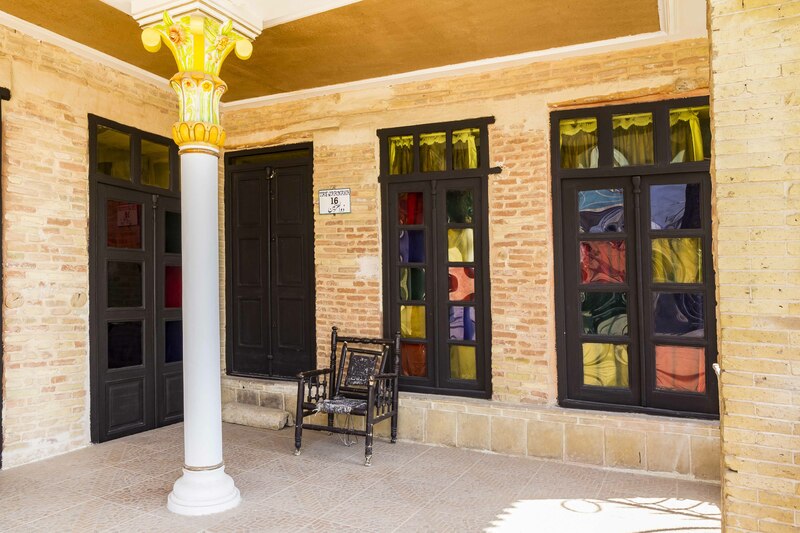 Building 4 has been the historic House of Mirza Mahmud Adib Motafavi. 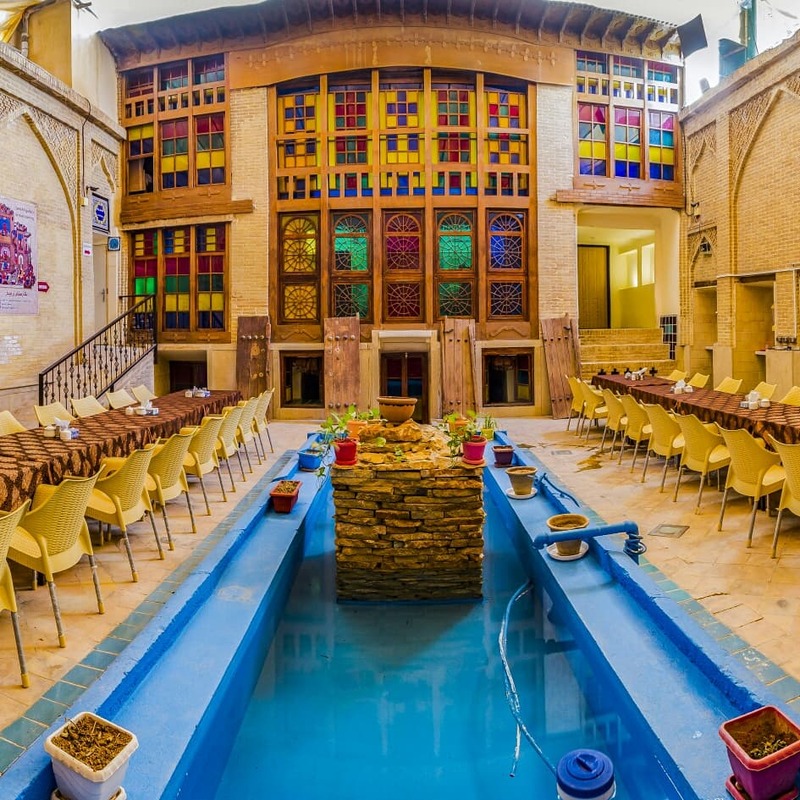 This building has the most comprehensive traditional architecture of Shiraz, which has the interior & exterior, and Shahneshin. 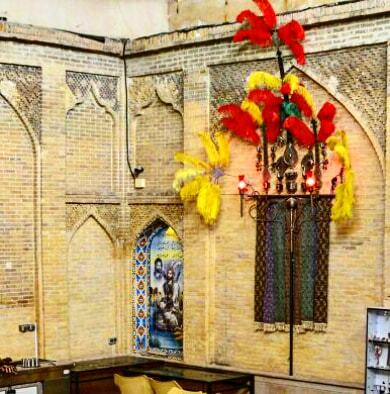 The interior of the building presents a very beautiful and complete appearance of the Qajar architecture in Shiraz. 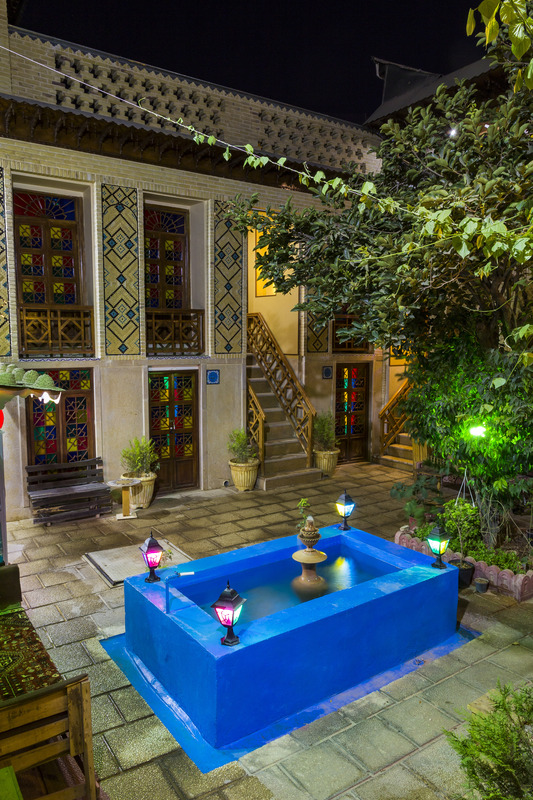 Mostafavi historic house was the site of Shiraz Literature Association at the beginning of the present century. 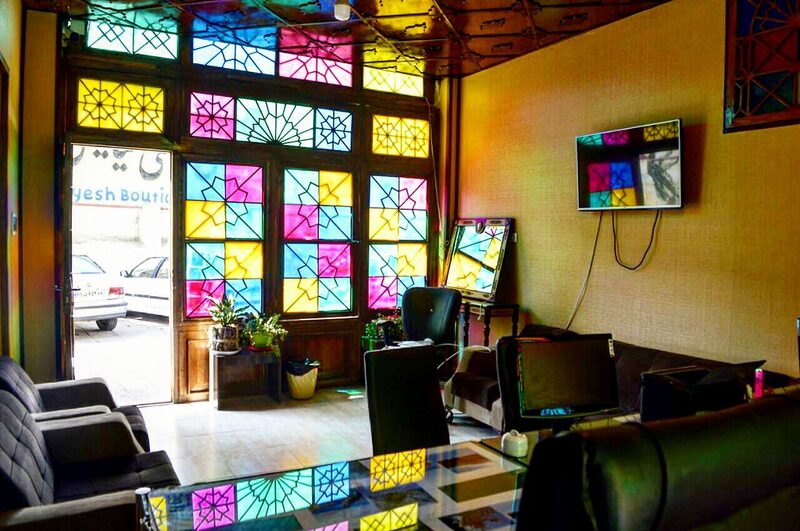 It used to be the first printing office in Shiraz. 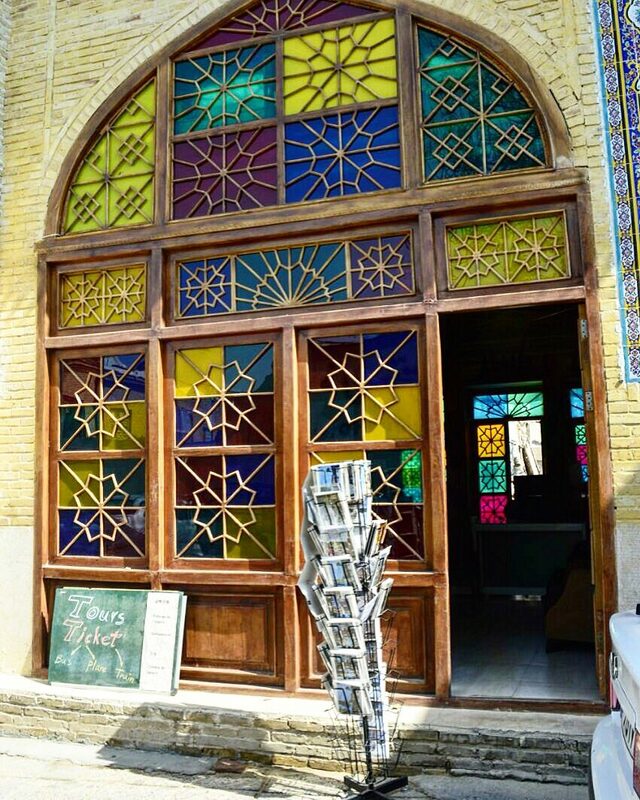 The first newspaper in Shiraz was printed in this house. 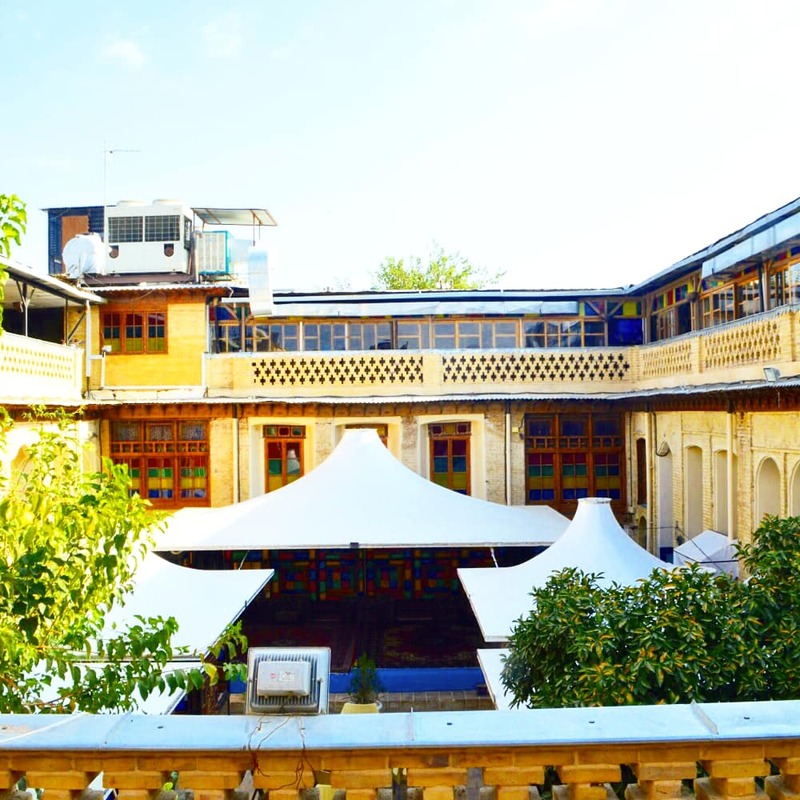 Sa'di's best known works, Bustan (The Orchard) and Gulistan (The Rose Garden), and The Divan of Hafez were first collected here by Shoorideh Shirazi and Mirza Mahmud Adib Mostafavi and were later lithographed in India. 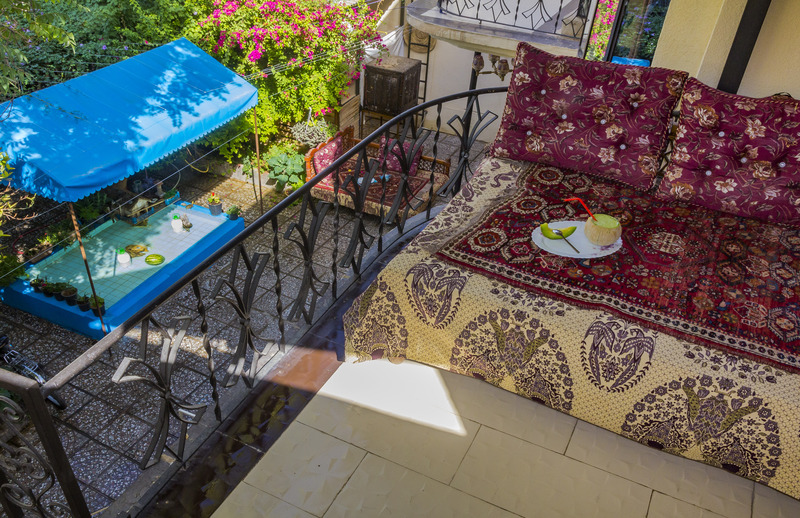 This house consists of 17 rooms, Sutedelan Restaurant & Coffee Shop in the central courtyard, and Cheshmandaz Coffee Shop on top of Shahneshin. 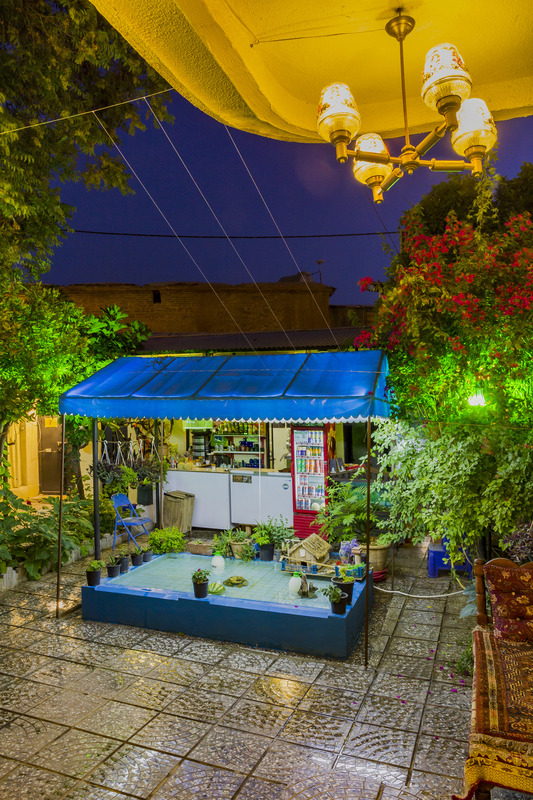 Its eternal architecture, along with orange and walnut trees, fragrant flowers, and small blue pools, has everlasting effects on the senses of smell, hearing and taste. Building 5 serves as the entrance of buildings 4 & 5 on night shifts. 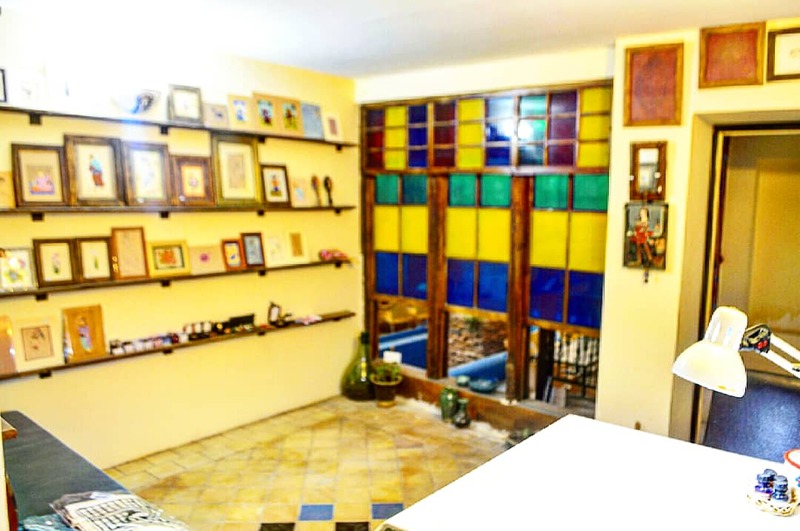 It consists of 5 rooms, central kitchen, and central laundry. 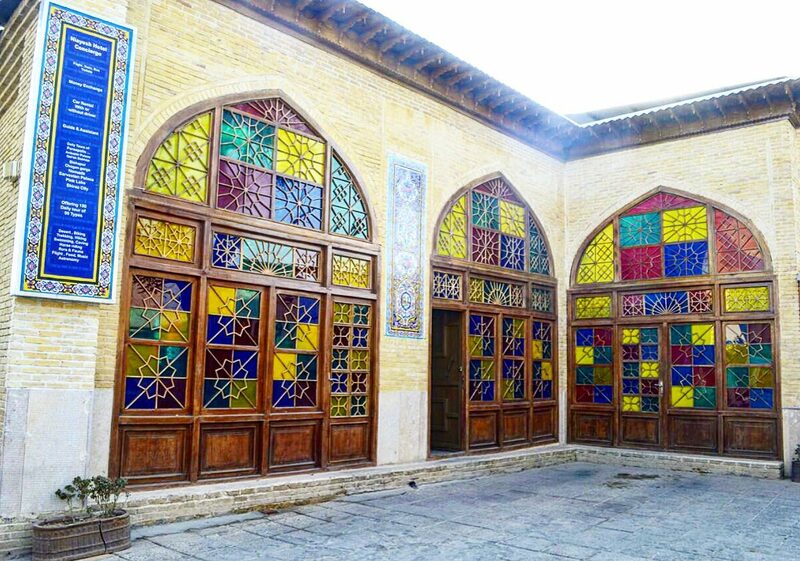 Its main door is opposite the Art Gallery of Shiraz. In the last century, families were often neighbors. 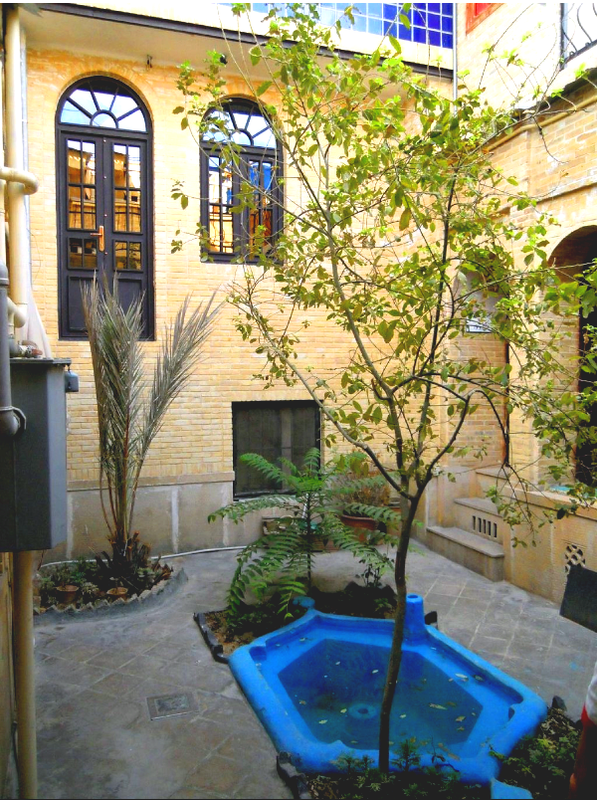 Yasin building also belonged to the mostafavi family in the last century. 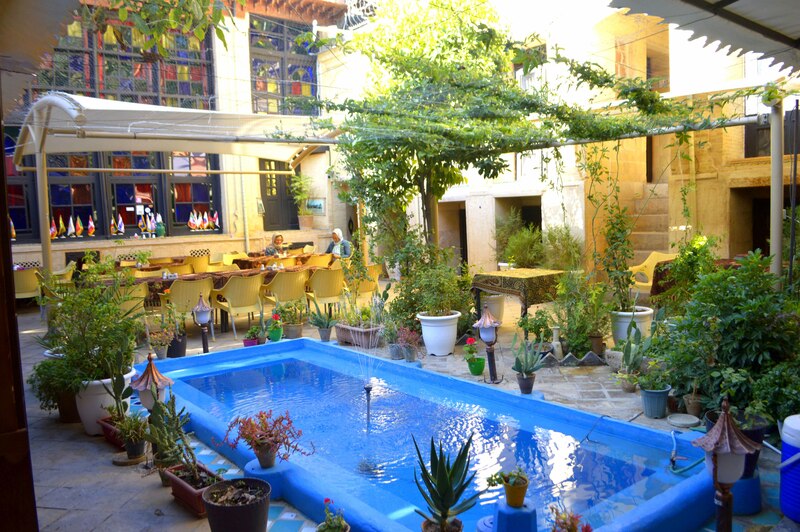 In this building, which is actually the ceremonial section of Niayesh Hotel, there are ten large luxury rooms and a small coffee shop in a courtyard with orange and persimmon trees. 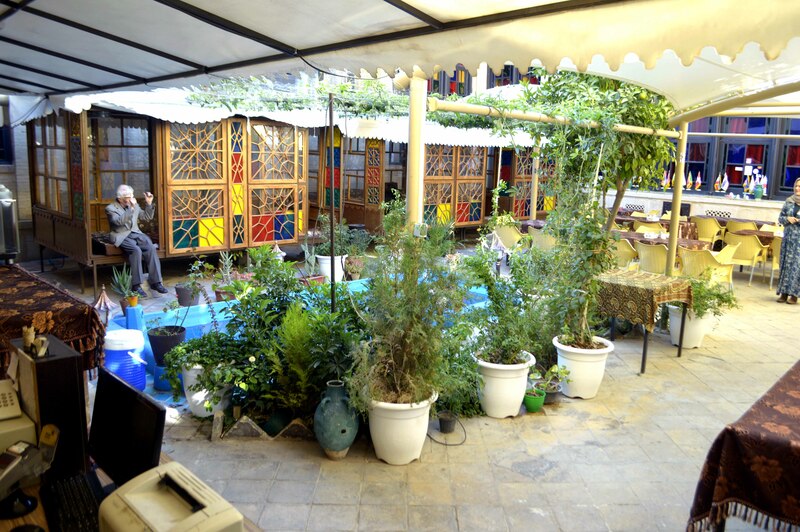 Up on the roof of the building, an Iranian culinary class is set up at the request of foreign tourists. Building 7. 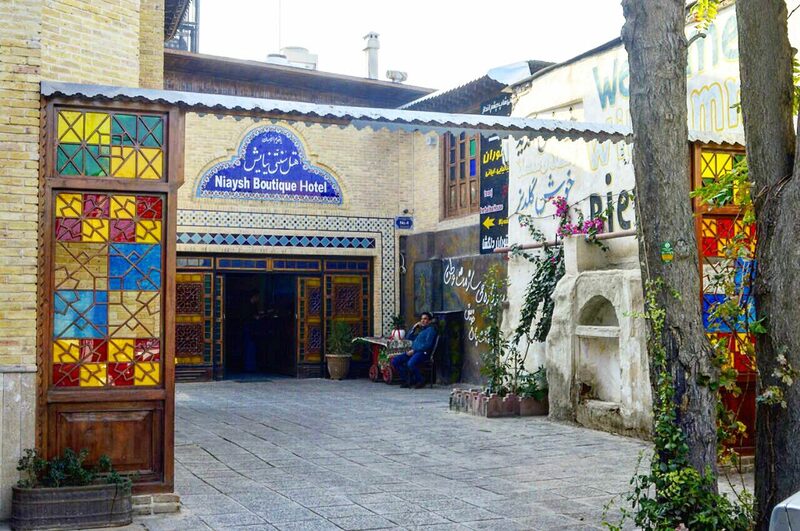 This building, having the architecture of the first Pahlavi era, serves as the hostel section of Niayesh Hotel and part of the 7-hostel chain in Iran. 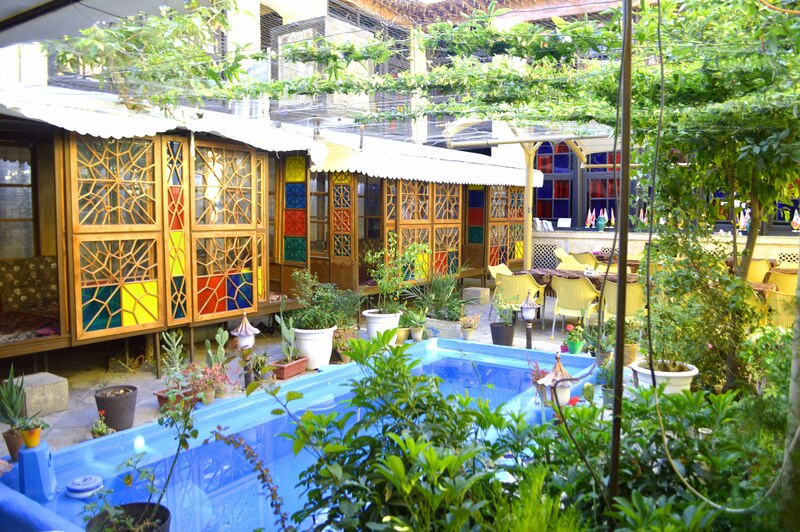 It consists of 9 rooms without toilets, public restrooms, Rasoul Coffee shop, and a beautiful courtyard with orange trees and jasmine flowers.